Our compostable range of clear cups are as versatile as conventional plastic cups. We offer them in different shapes and sizes. 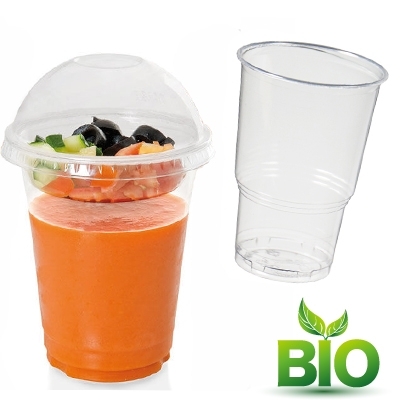 The PLA material is transparent and the cups are 100% compostable in accordance with the EN13432 regulation. Be aware that cups made out of PLA cannot sustain high temperatures.